Debate – Does Facebook affect SEO? We noticed quite a lot of debate amongst the leading SEO blogs recently. The subject of the debate is this – Do Facebook likes and shares have an effect on SEO? Some bloggers are saying no, others are saying yes. Let’s have a look at it. Does Facebook activity have any effect on Google rankings? A recent study published online seems to indicate that Facebook does not have a direct effect on rankings. The article points out that the number of Facebook likes a page has, will have no direct influence on rankings. Likewise, it states that FB users who share posts are not boosting rankings for the page owner either. While these facts are true and cannot be disputed, we believe the article misses an important point – although Facebook activity may not directly affect rankings on Google, as a way of gathering a larger following, increasing reach, and inviting traffic to your website, it is huge! According to the study, a user finds your Facebook page. They like it, they follow it, and they share some of the content. That’s it, no further activity and nothing for the Google bots. Is that it? No! In fact, this is what happens: A Facebook user finds your page. They like it, then follow it, and share your content. This content should have links on it to your website inviting them to read your blog article, enter your competition, browse your e-commerce catalogue, or purchase an item. 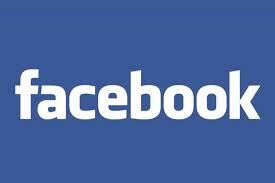 Every time a Facebook user likes your page, you are invited, by them, to communicate regularly. Every time they share your content, if you create good content, they are potentially sharing a link on your behalf. Every link you share should be to your website, online store, or blog. If you do this, FB traffic will, without fail, affect your rankings. So, Facebook likes on their own have little effect on rankings. What they do however, is open the door to your users’ newsfeeds. People sharing your content on Facebook does not affect rankings directly either, but it does if you share links that take people straight to your website. The study said that the impact of shares on FB was inconclusive. We believe this is because not all content that is shared has a link. So here’s our tip – when you post on FB, add a link to your website or your blog. Facebook generates traffic. If you direct the traffic to your website, then it will have an influence on your rankings.